The Langtang Trek ranks as one of the very best “tea house trails” in Nepal, combining beautiful countryside, with stunning mountain views. And yet it attracts far fewer people than either the Annapurna or Everest regions. 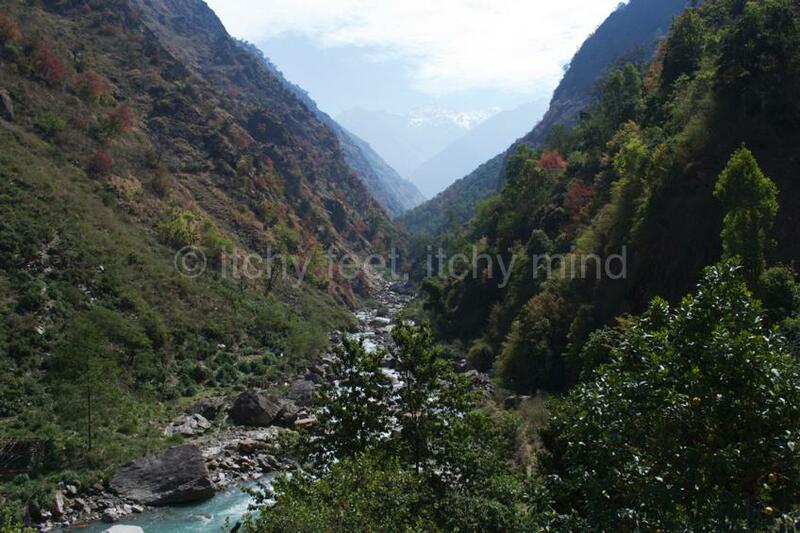 The walk from Syabru (Shyaphru) Besi to Langtang and back can be done in under four days. But unless you have an incredibly tight schedule, we would advise taking at least five days for the return journey. 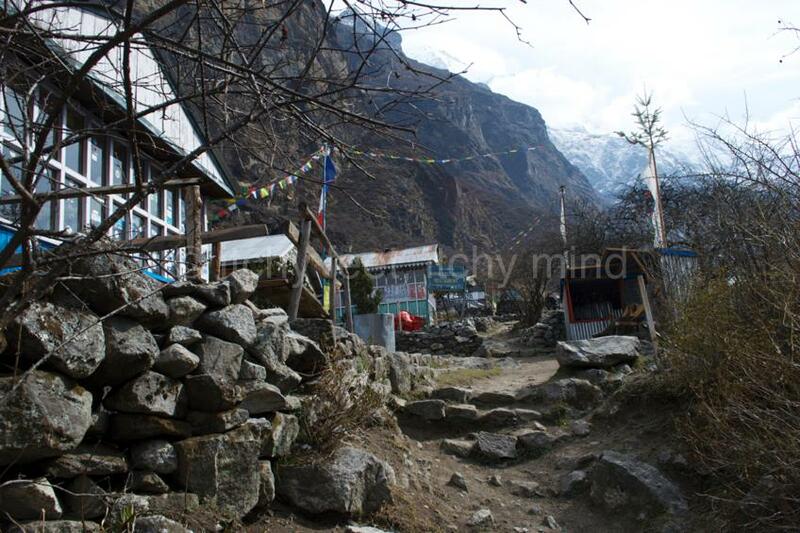 As with other tea house trails, the Langtang Trek has regular places to eat, drink and sleep along the way. 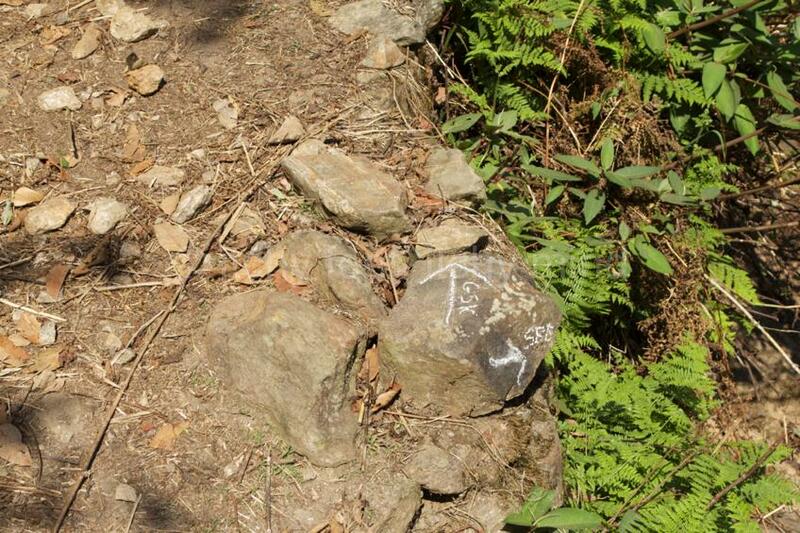 The path is very simple to follow, making a guide surplus to requirements. And if you pack as lightly as possible (see below) there is no need for a porter either. 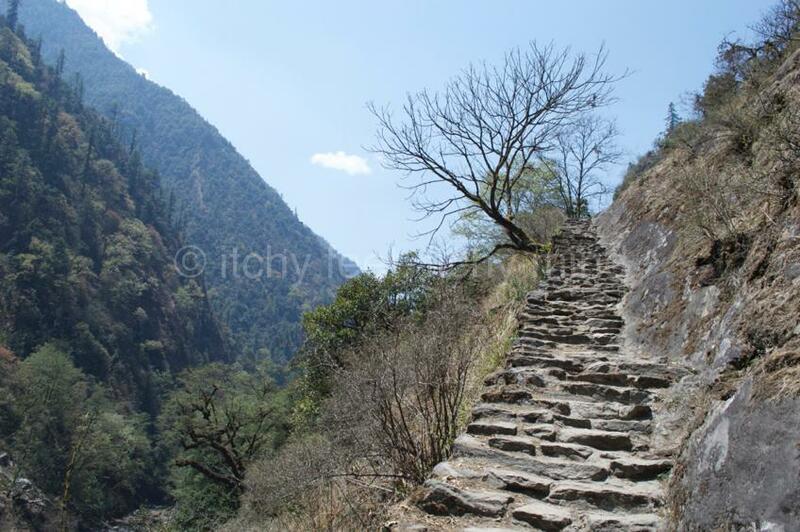 We would strongly recommend doing this trek independently, rather than as part of an tour group. It is much cheaper, offers far greater flexibility, and is more rewarding. 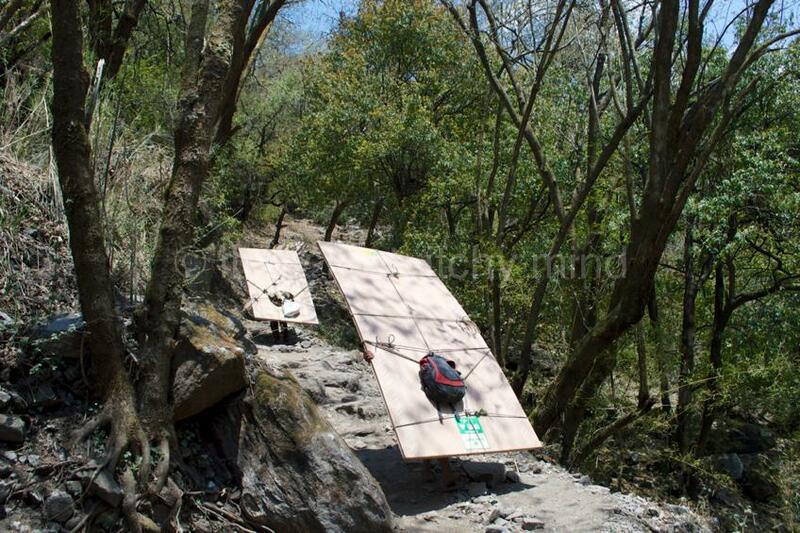 For more details, see How to organise independent treks in Langtang National Park. 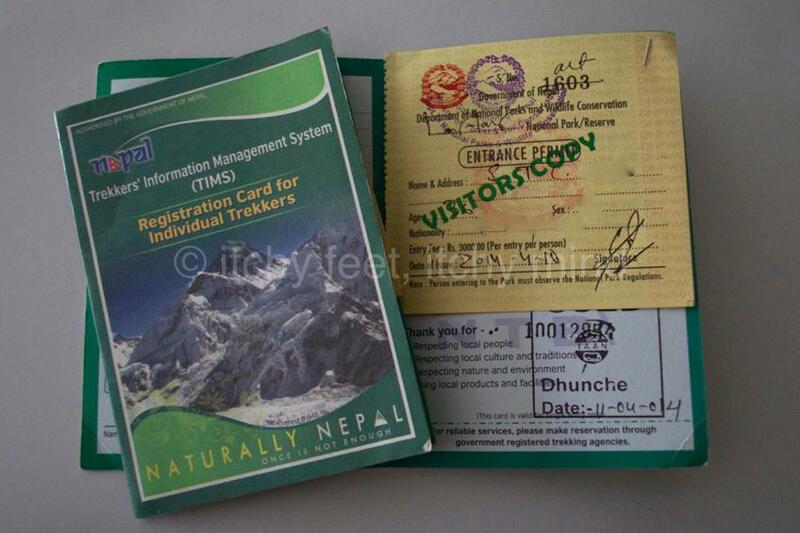 Your Tims card, national park permit, and passport (all kept in a water-proof bag). If you feel really bad, and a rest does not help, descend (steadily) until you see a marked improvement. Budget for 2,000 rupees per day, to cover food and lodging, all of which has to be taken in cash with you. 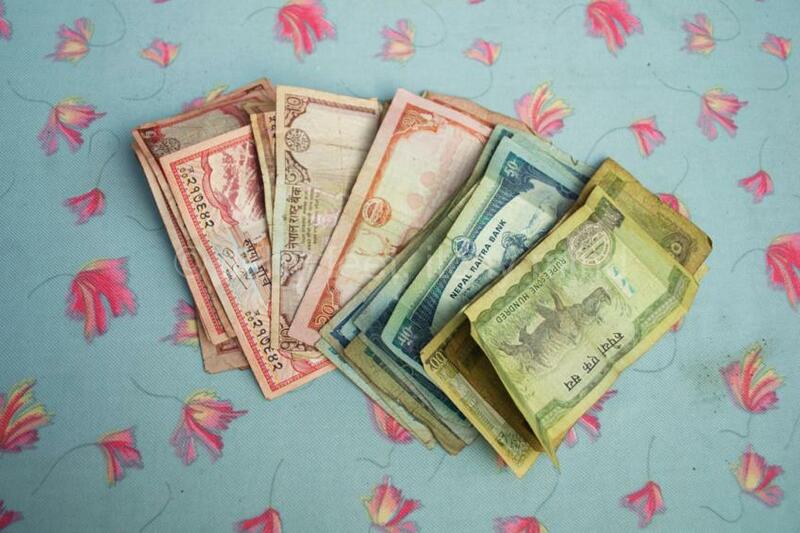 Remember to stock up on small denomination notes in Kathmandu, as change is harder to come by in the mountains. 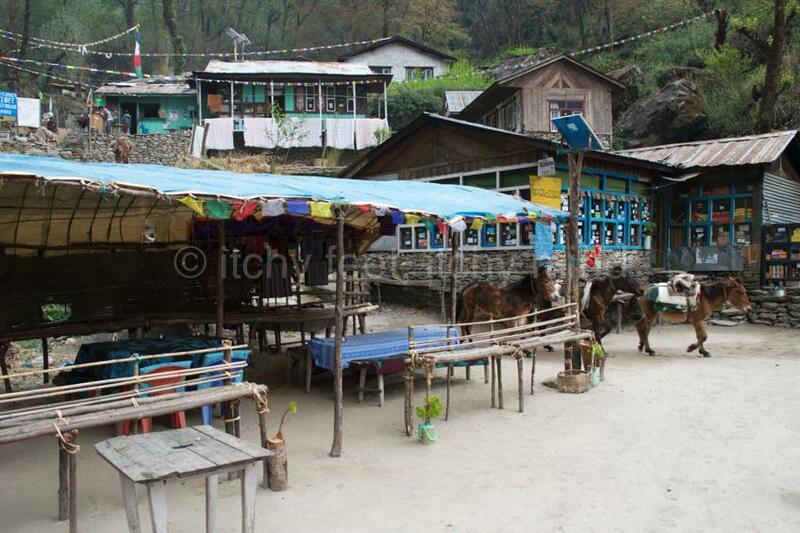 Nearly everything you eat or drink on the trail has be be carried up, so prices are high by Nepalese standards. Although the food will not set your taste buds alight, it tends to be exactly the sort of hearty, filling fare you need on a long trek. 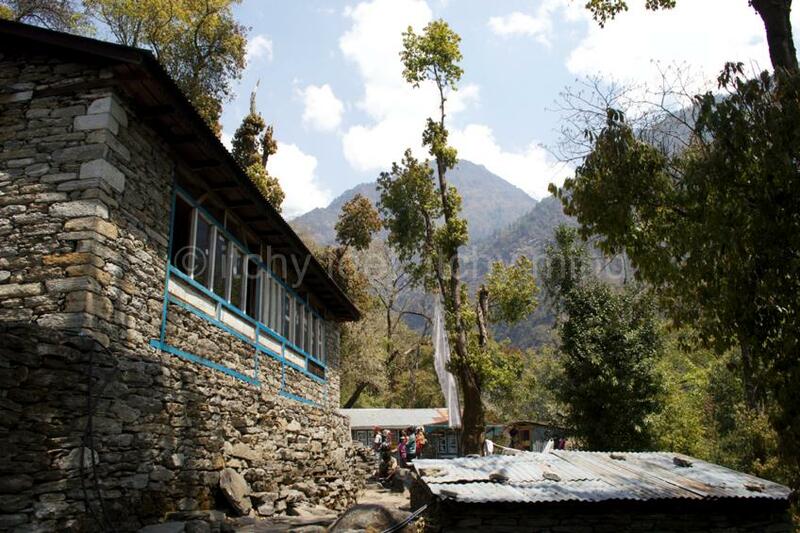 The accommodation is on the basic side as well, and costs in the range of 350-500 rupees a night for two people. At quieter times of year, you may even be offered free board, so long as you eat where you are staying. Get as many blankets as possible, as temperatures plummet at night. 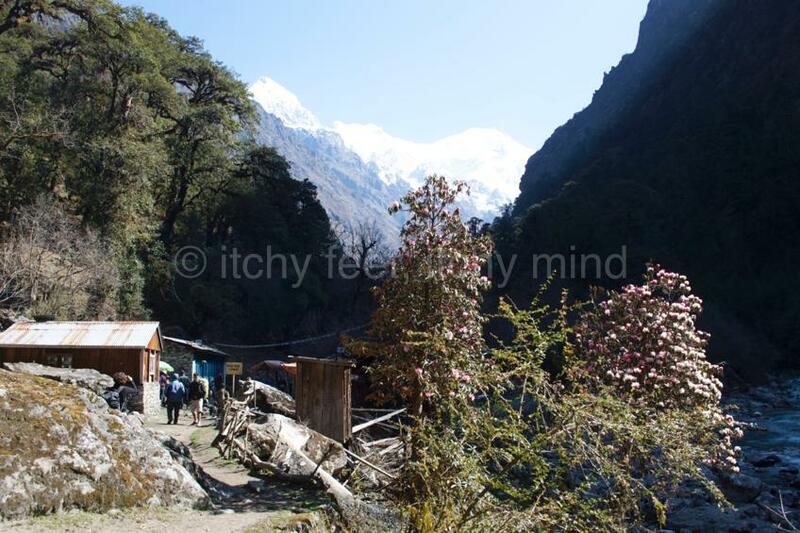 The Langtang Trek has a longer season than most of the popular treks in Nepal, stretching from September through to May. Having said that, November and April offer the best chances of clear mountain views. On the downside, these months also bring the greatest crowds. Whenever you go, build some wiggle room into your schedule, in case of bad weather. 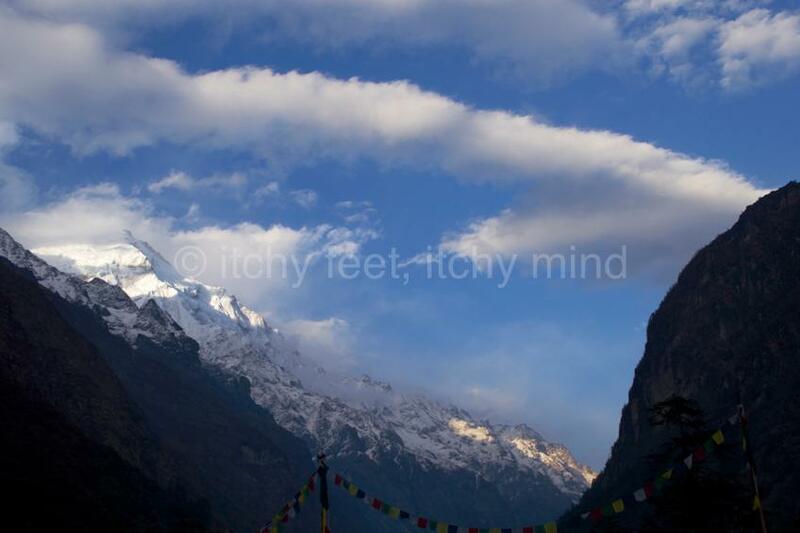 Try to make an early start from Syabru (Shyaphru) Besi (1,460 metres) as the first day of the trek involves six to eight hours of walking, and an altitude gain of more than 900 metres. Take the lower fork of the main road at the top of the village, and after five minutes you will come to an army checkpoint. At the checkpoint, you will need to register, as well as show your Tims card and park permit. 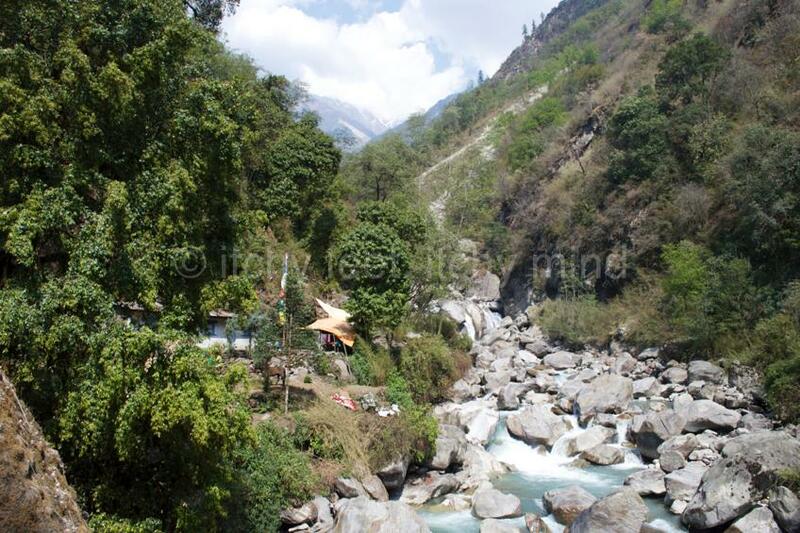 After these formalities are complete, cross the suspension bridge over the river, and head towards Old Syabru (Shyaphru). On a clear day, snow-capped mountains are visible straight away, one of the reasons why the trek to Langtang is such a treat. After passing through Old Syabru, ignore the first bridge you come to, staying on the same side of Langtang Khola (Langtang River). After about 20-30 minutes the trail passes a couple of lodges, just before the new bridge across the river. This would not be a bad place to stay if you set off on the same afternoon you arrive from Kathmandu, rather than staying overnight in Syabru Besi. 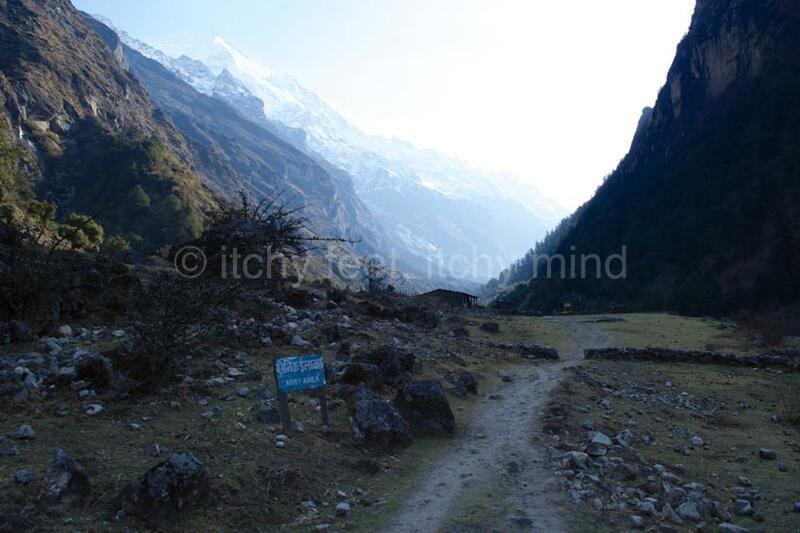 After crossing the bridge, turn left, and follow the path along the right bank of Langtang Khola. As long as you can see or hear the river, it is almost impossible to get lost. This part of the trail is reasonably flat, so enjoy it while you can, because there are days of much more challenging walking ahead. A couple of hours out from Syabru Besi, the trail crosses a bridge, by a waterfall. As well as some impressive views, Domen (1,670 metres) has two basic lodges. 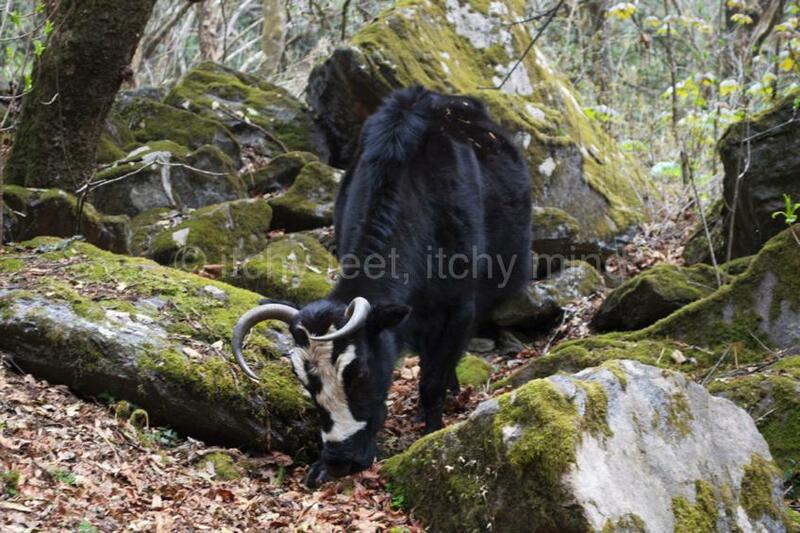 It’s a popular spot to rest up before the first – but by no means last – really tough climb of the trek. 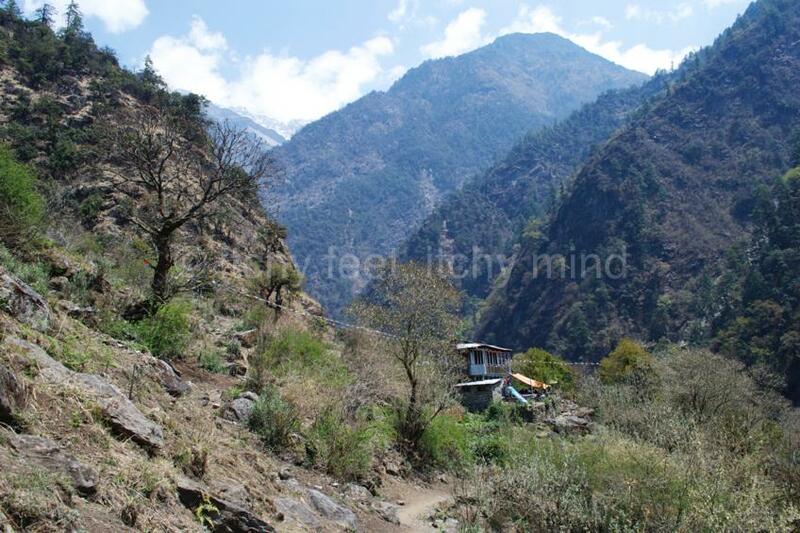 Probably the single worst feature of the Langtang Trek is that steep ascents are often followed by equally steep descents. This means that every gain in altitude is hard-earned. Before you feel too sorry for yourselves though, try to imagine doing this trail time after time, with heavy, unwieldy objects on your back. About an hour from Domen, the trail comes to a cluster of lodges known as Pairo (Landslide; 1,800 metres). It’s a really lovely spot to have a drink and/or food break, but comes too early in the day to be a potential overnight stop. 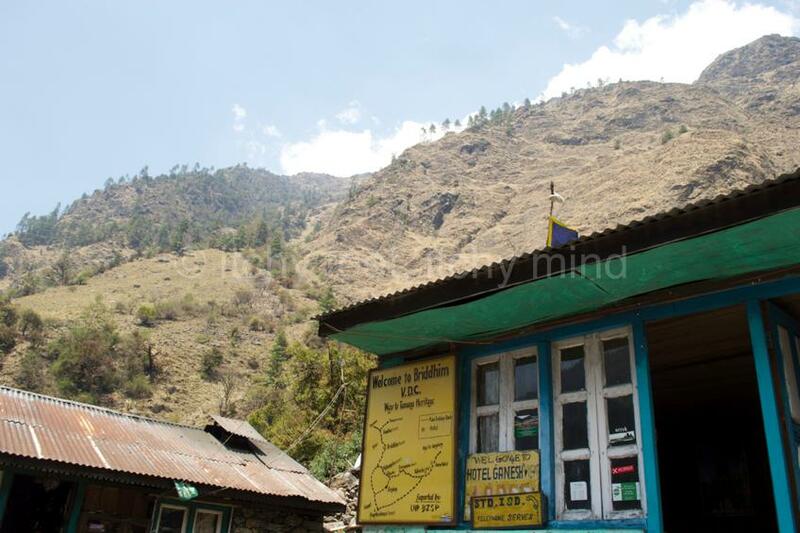 Although Langtang National Park is home to several rare species of animal, such as red pandas and snow leopards, the only wild mammals you stand a good chance of seeing are langurs. 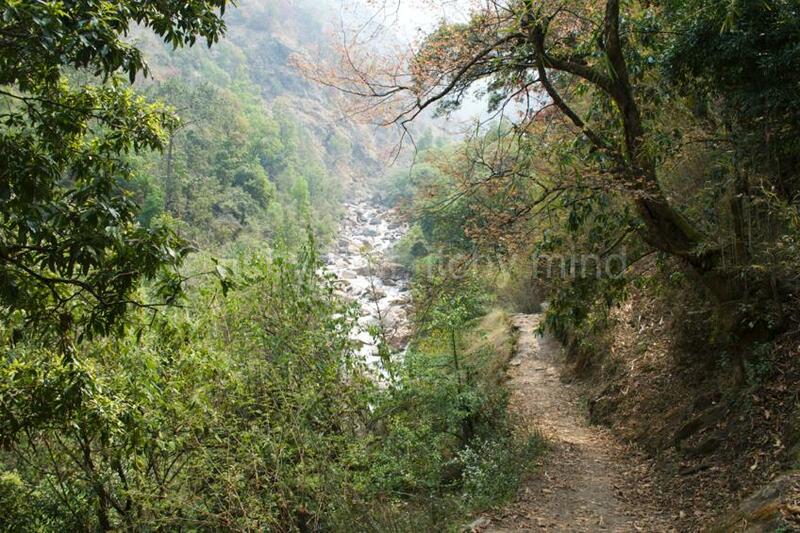 Roughly an hour and a half from Pairo, the trail reaches a cluster of lodges known as Bamboo (1930 metres). 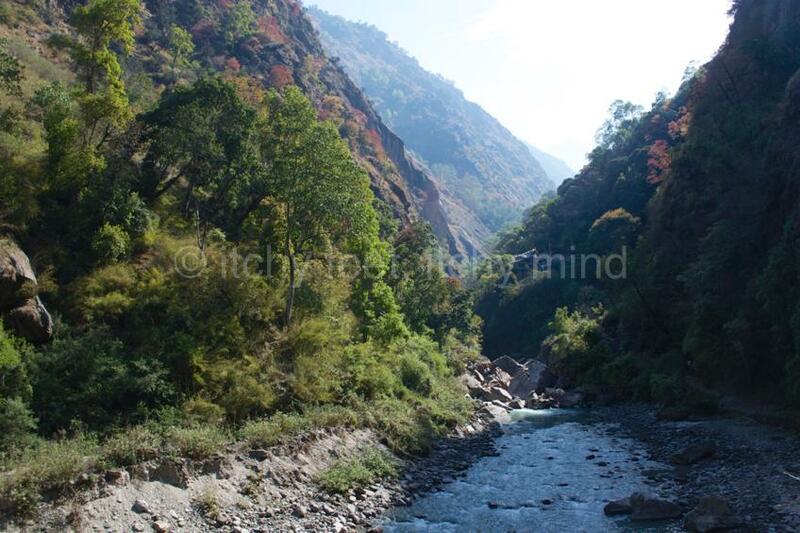 The next section of the trek – to Rimche (2,455 metres) – is particularly tough going. 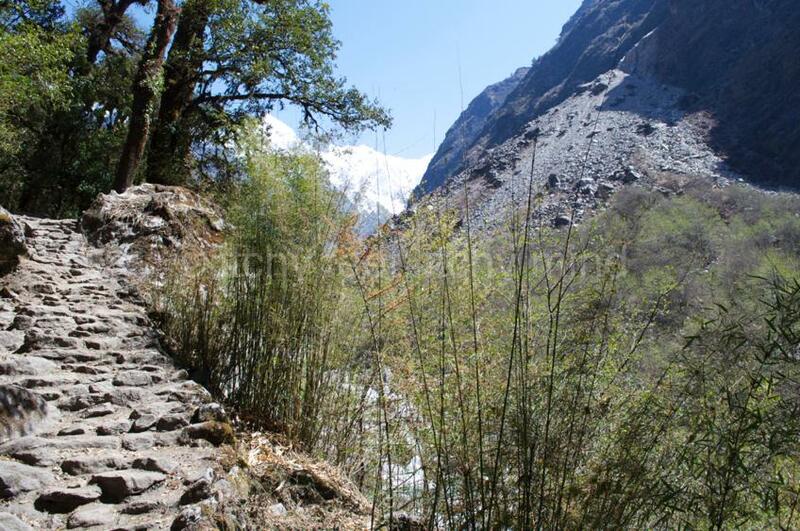 About an hour from Bamboo, you will come to a bridge over Langtang Khola. It is worth taking a drink break at the tea house by the river. Contrary to the information on some maps, no accommodation is offered here. 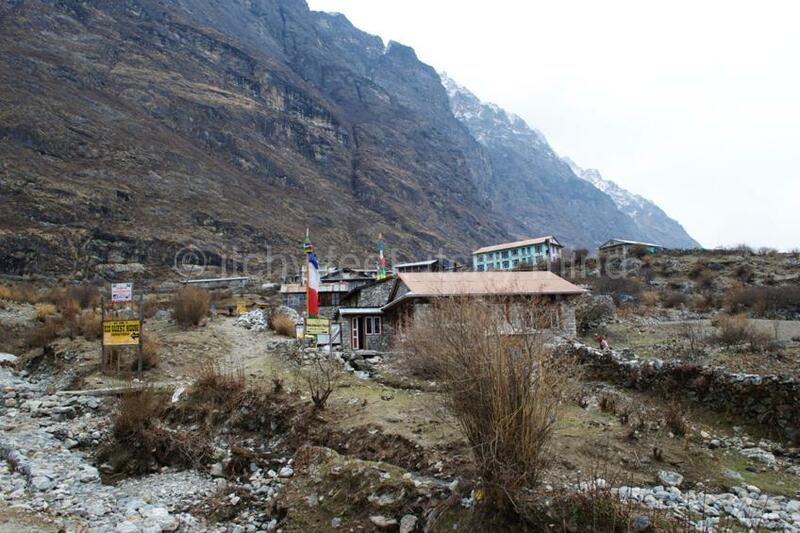 The first place to stay after Bamboo is the Hotel Langtang View Lodge (2,400 metres), about 20-30 minutes before Rimche. This is not a bad finish point to your first day’s walk. 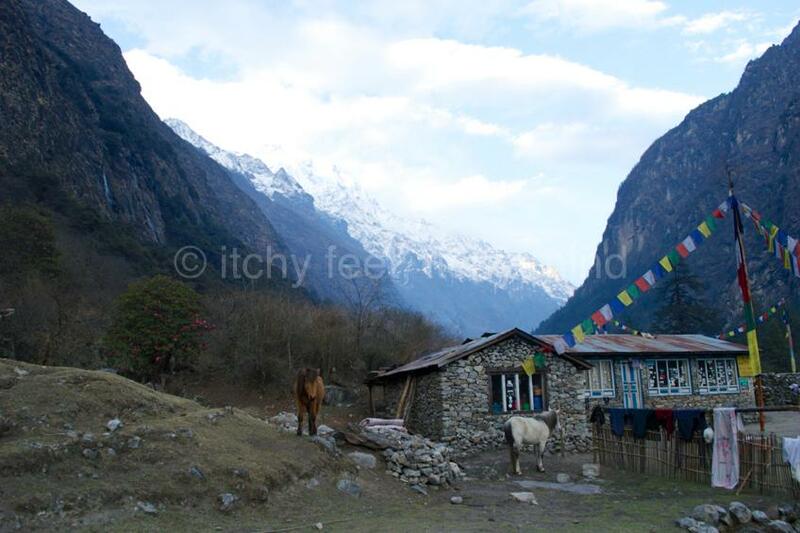 The same goes for Rimche, which has a couple of lodges, both with superb views. We would advise strongly against continuing to Lama Hotel (Changtang; 2,470 metres), as beds can be hard to come by at busier times of year. The trail reaches Lama Hotel about 30 minutes after Rimche. 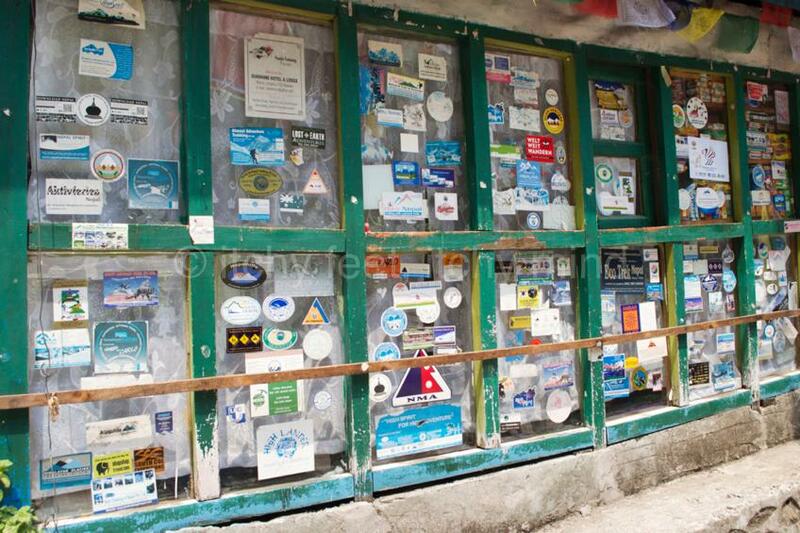 It boasts the largest collection on lodges on the Langtang Trek, apart from Langtang itself. As the climb continues, yaks (and cheese from their milk) become increasingly common. Although general docile, discretion is the better part of the valour when it comes to these magnificent beasts. The section between Lama Hotel and Ghodatabela (2,970 metres) is probably the most beautiful of the whole trek, with snow-capped mountains and colourful rhododendrons. 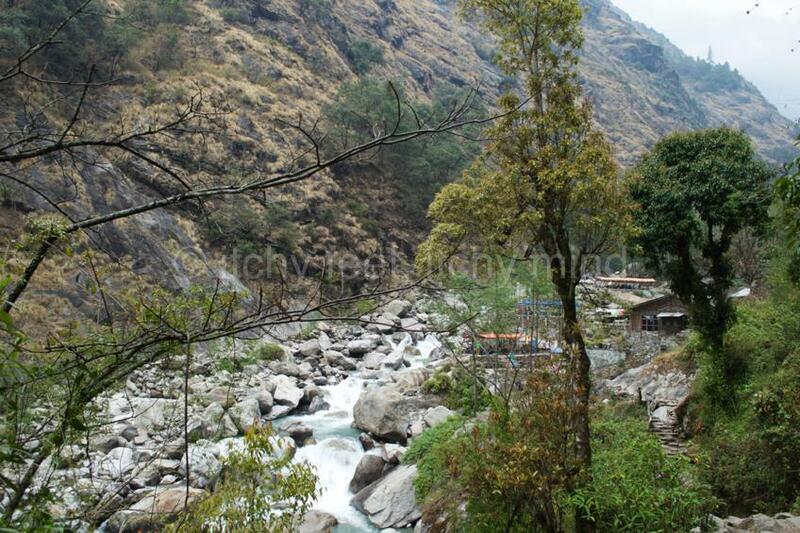 Some two hours from Lama Hotel the trail comes to Riverside (Gumnachowk; 2,770 metres), a lovely spot to take a break. An hour further on is the even more isolated lodge at Thomna (2,790 metres). The views become truly magnificent by the time the trail reaches Ghodatabela (2,970 metres). Unless you are in a desperate hurry we would recommend spending the night at one of the two lodges there. About half an hour from Ghodatabela the trail comes to an army checkpoint, where your Tims card and park permit will be checked. The walking is slightly less challenging than on the first two days, with gentler ascents and descents. You are still advised though, to take regular rest and refreshment stops along the way. 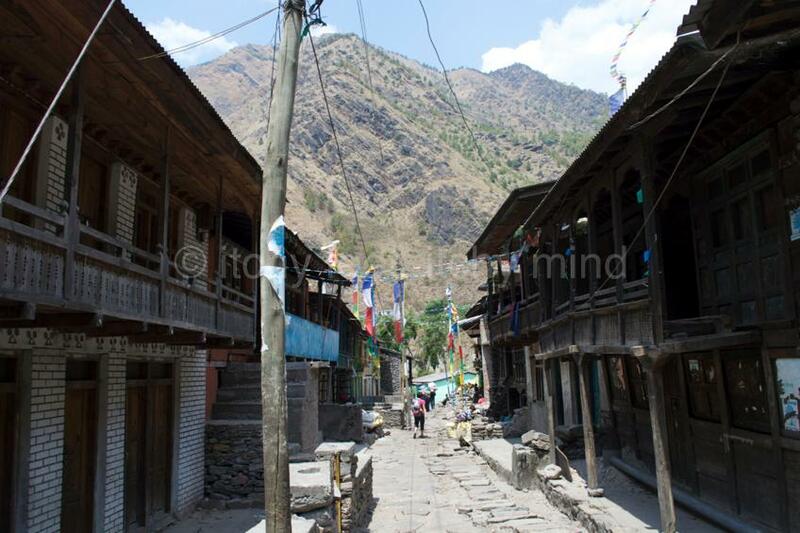 The trail passes through a number of hamlets with lodges on the way to Langtang (3,430 metres), including Thyangsyapu (3,140 metres) and Chyamki (3,230 metres). 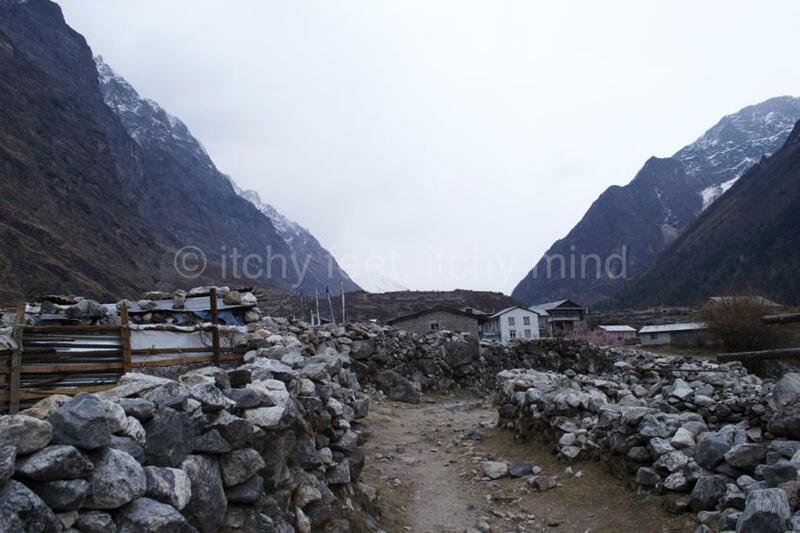 The closer the trail gets to Langtang, the more spectacular – albeit bleak – the views become. Despite the economic benefits of tourism, this is still a harsh environment to eek out a living. 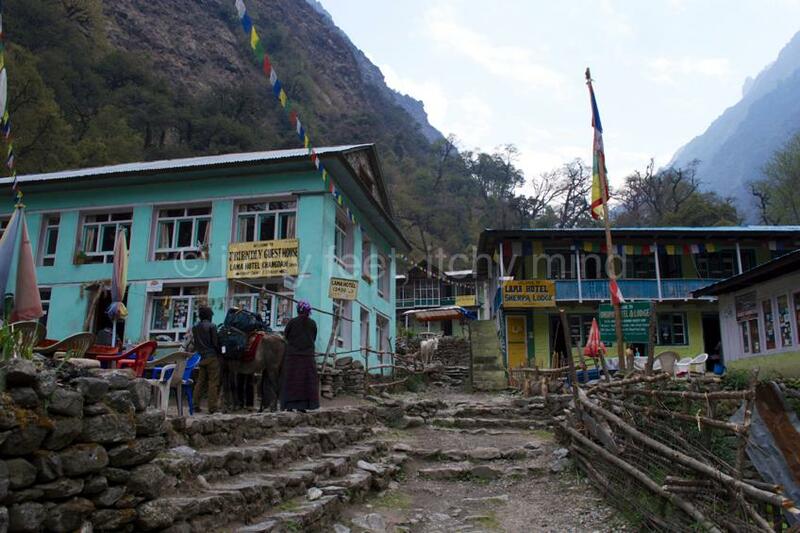 The walk to Lantang should take three to four hours, so it can be visited as a day trip from Ghodatabela. 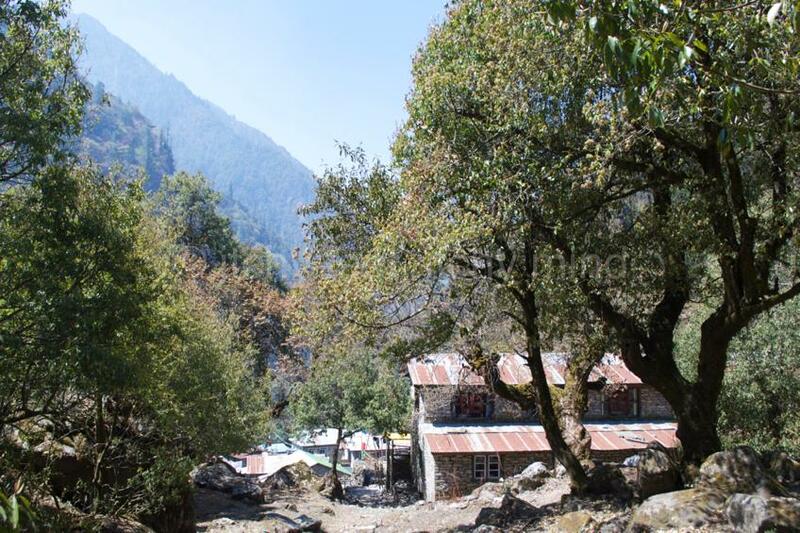 As well as a wide selection of lodges – some with luxuries like Western toilets and electricity – Lantang is home to the national park headquarters. The dominant culture in this area is Tibetan (and Buddhist), which makes sense given how close it is to the border with Tibet. Locally made Yak cheese and yoghurt are widely available. If you have time to spare, after acclimatising overnight in Langtang, the trail continues to Kyanjin Gumpa (3,870 metres). 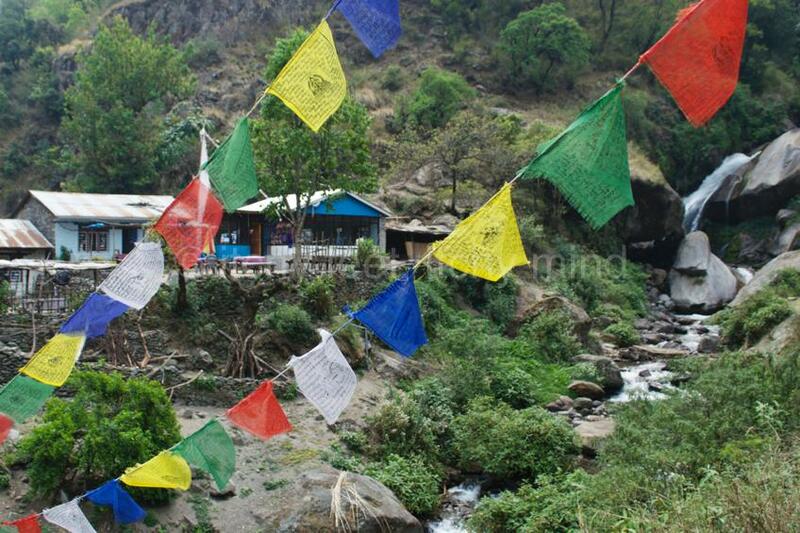 As well as spectacular views, a Buddhist monastery and several lodges, this village offers a number of interesting days hikes. 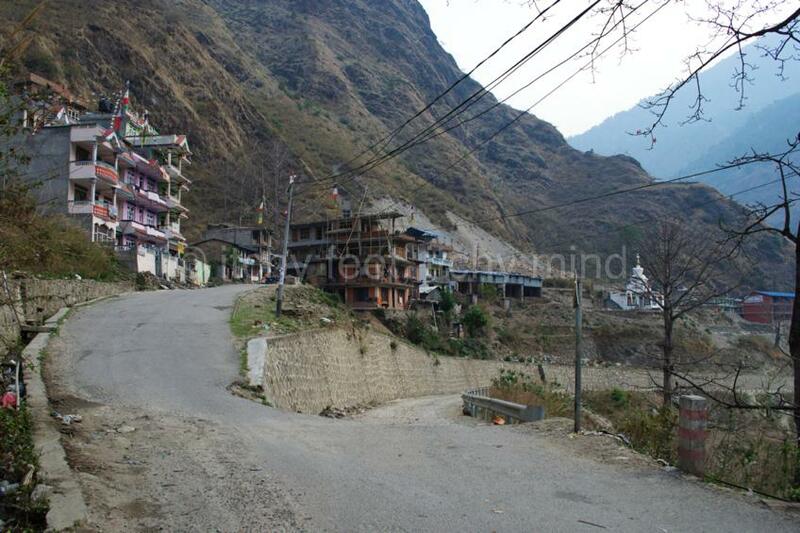 It is about three hours walk from Langtang. The walk back to Syabru Besi is generally done in two days, stopping overnight in Lama Hotel. Remember to be careful on descents, as they can be slippy. Just because the locals can run down in flip-flops does not mean you can. Bear in mind too that it is not downhill all the way. In fact, there are still plenty of tough climbs on the return journey, which can seem a trifle unfair. The walk to Lama Hotel takes six to seven hours, which means that as long as you make an early start, you should be able to find somewhere to stay. But if all the lodges are full up, then you will have to carry on to Rimche. 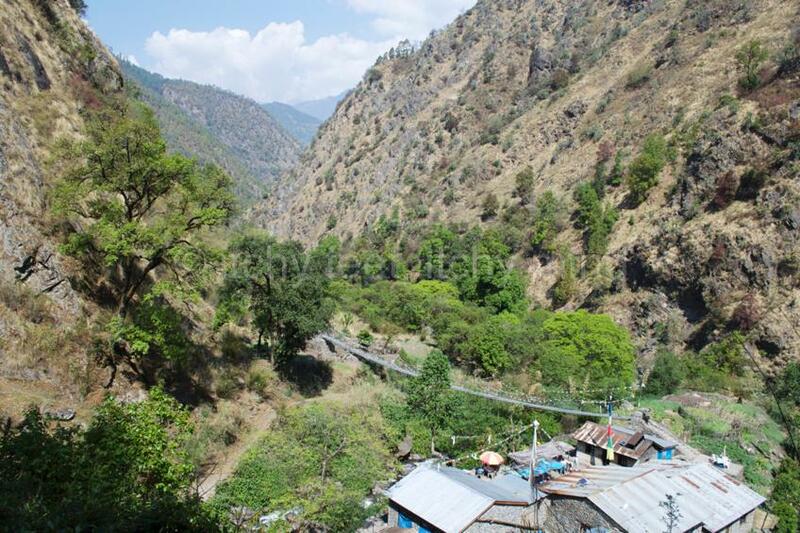 If you prefer to return to Syabru Besi a different way, then you can link up with the Tamang Heritage Trail by the Hotel Ganesh View in Rimche. Ask for directions along the way, or you could miss the all-important left-hand turning to Syabru Besi. For those sticking to the main trail, Bamboo and Pairo are good places for an early lunch break. 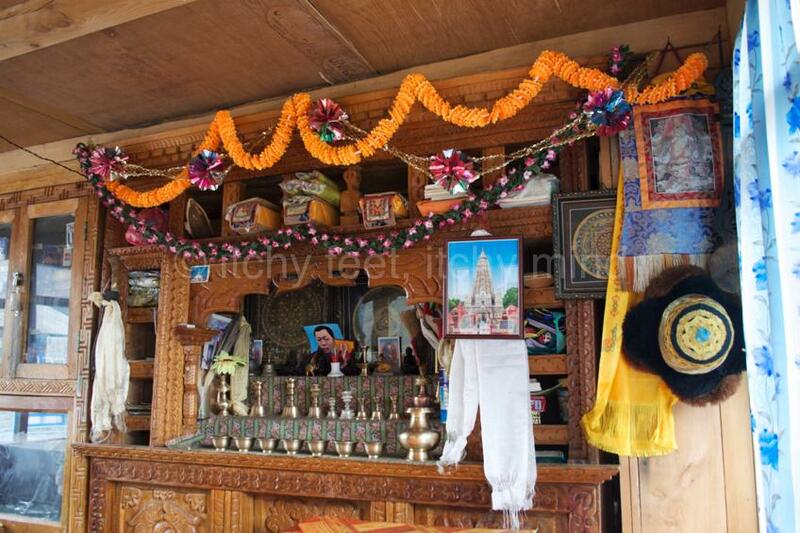 After Pairo is an easily-missed turning for Thulo Syabru, where you can link up with the Gosain Kund Trek (seven to eight days), and then the Helambu Trek (six days), which takes you all the way to the outskirts of Kathmandu. 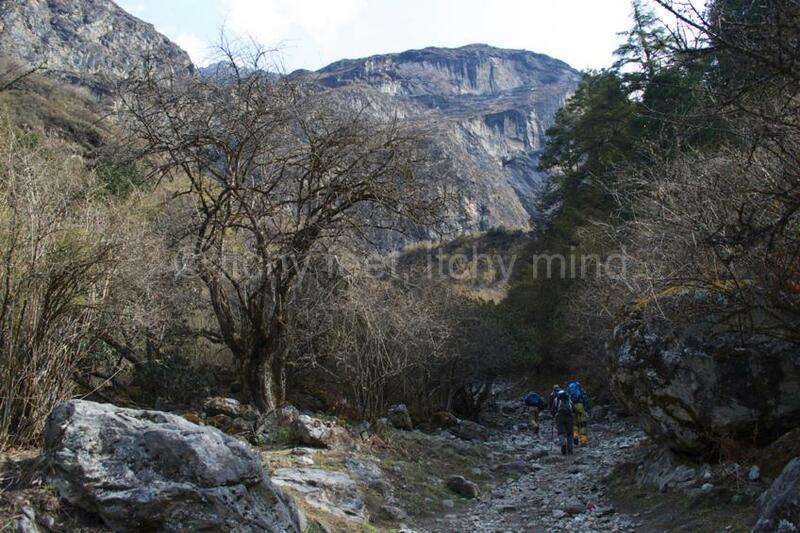 For Syabru Besi, take the turning which heads towards Langtang Khola. Once the trail reaches Domen, the worst of the climbs and descents are behind you. A little bit of self-satisfaction is natural at this point, but try not to be too smug with the trekkers heading the other way. 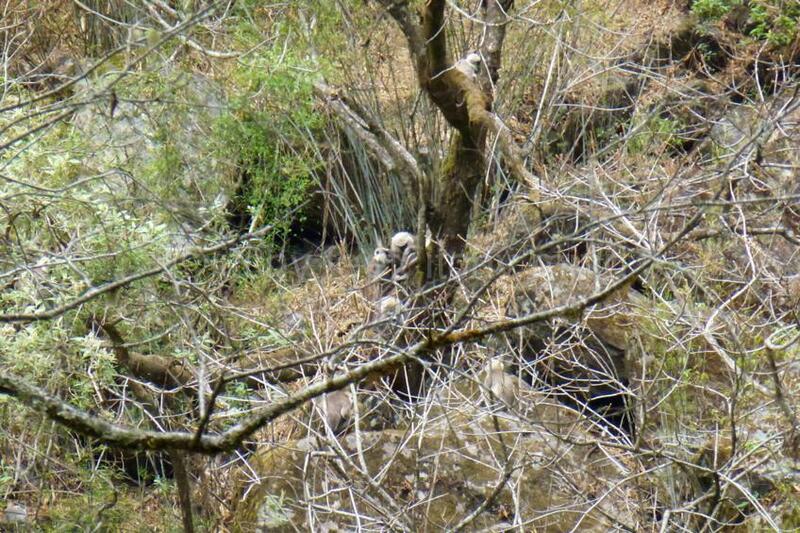 After five days of hard walking, Old Syabru comes as a real sight for sore eyes. The promise of unimaginable luxuries like ensuite bathrooms, wifi, tasty food and affordable beer, are only a few minutes walk away.